FOR IMMEDIATE RELEASE: Lewiston, Maine (May 18, 2016) – On June 18, 2016 New England Fights (NEF) will return to Lewiston with the fight promotion’s latest fight card, “NEF 24: PROMISED LAND.” A full slate of professional and amateur mixed-martial-arts (MMA) and professional boxing is planned for the event. Earlier today, NEF announced the addition of an amateur MMA welterweight bout to the fight card. Shawn Bang (1-1) will return to take on Mike Bezanson (1-0) at a fight weight of 170-pounds. Shawn Bang is a member of the famous Bang family of fighters from nearby Auburn, Maine. Along with his father and brothers, Bang is a member of Central Maine Brazilian Jiu-Jitsu (CMBJJ). 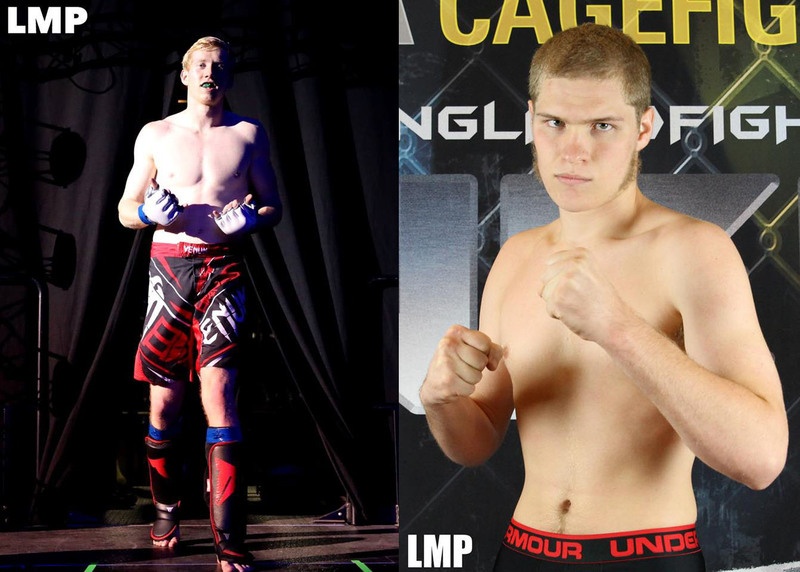 It has been nearly three years since he last competed in the NEF MMA cage. Bang has spent the last two years serving as a missionary in accordance with his Mormon faith. Finally back home and reunited with both his natural family and gym family, Bang is ready for his return to the cage. Lancaster, New Hampshire’s Mike Bezanson debuted in the NEF MMA cage one year ago at “NEF 18.” Early in the fight, it became evident that his opponent that evening, Jeff Dustin (0-1), was outmatched against the Team Kaze product. Although Dustin hung in there for almost two full rounds before the referee stopped the fight, Bezanson put on a striking clinic that left his opponent bloodied. Bezanson took his time and looked like a cat toying with its prey. Some in attendance saw his performance as showboating, while others were impressed by his pinpoint striking. Like it or not, no one could deny that Bezanson provided the entertainment that night.